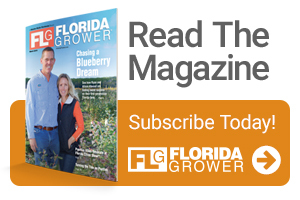 Ten years ago, the fruit and vegetable industry was largely a farm bill bystander as the focus of legislators’ attention remained on dairy and the major “program” crops including corn, wheat, cotton, rice, soybeans, sugar, and peanuts. But beginning with the 2008 Farm Bill, the specialty crop industry joined together under the Specialty Crop Farm Bill Alliance (SCFBA) to make specialty crops, including potatoes, a significant player at the farm bill table. The SCFBA, which is co-chaired by the National Potato Council, is now entering its third full farm bill and the results have been impressive. More than $3 billion dollars are now dedicated to the fruit and vegetable industry through the farm bill. These funds are delivered through new programs like the Specialty Crop Block Grant Program, the Specialty Crop Research Initiative, the Technical Assistance for Specialty Crops Program and others. 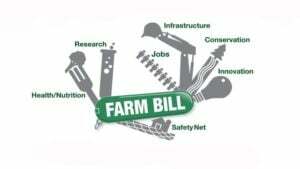 In addition to these new programs, the farm bill also has encouraged the Department of Agriculture to make existing programs such as crop insurance, conservation programs, and rural development focus more on the needs of potato producers and other specialty crops. Throughout 2017, the leaders of the House and Senate Agriculture committees conducted listening sessions across the U.S. to set the stage for meeting their commitment to pass a new farm bill before the September 2018 expiration of the current bill. Responding to those signals, the potato industry and the specialty crop industry went to work to develop priorities for federal fruit and vegetable policy. In January 2017, the SCFBA began a comprehensive review of the farm bill that ultimately concluded last summer. The review confirmed the value of the current specialty crop farm bill initiatives on research, trade promotion, block grants, as well as pest and disease management. SCFBA members strongly supported enhancements in the programs to support specialty crop exports and all areas of research including initiatives related to mechanization and food safety. Once these recommendations were finalized, NPC staff, along with other SCFBA members, have been meeting continuously with House and Senate committee members and individual Congressional offices to walk through our priorities. Ultimately, those public officials are the ones with the responsibility to ensure the farm bill moves forward with our improvements included. The National Potato Council has devoted significant time and resources to the SCFBA. We believe that working in collaboration with our specialty crop industry colleagues allows us to leverage the policy and political power of our industry in a focused and effective manner. We are particularly focused on enhancing the research dollars flowing to our industry through programs such as the Specialty Crop Research Initiative. Additionally, in order to keep pace in an increasingly competitive global marketplace, we are encouraging Congress to strengthen USDA’s export promotion resources through the Market Access Program, the Technical Assistance for Specialty Crops program, and other activities. When the farm bill does have an opportunity to move forward in 2018, the potato industry and our colleagues are prepared to effectively advocate for our priorities. Due to the comprehensive work of the Specialty Crop Farm Bill Alliance, we possess substantive recommendations on how to enhance federal farm policy to our benefit and the benefit of our consumers. The National Potato Council keeps a close watch on Washington’s impact on potato growers. 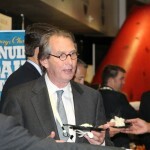 John Keeling ([email protected]) is its Executive Vice President and CEO. Keeling is executive vice president and CEO, National Potato Council. See all author stories here. Is the New Farm Bill an Opportunity or Threat for Specialty Crop Growers?